Upon their recent return from an overseas research trip to Tokyo, the team at Night Tales are launching a new event and transforming their 20,000 square foot food-mecca at Old Street’s Red Market into a Japanese-inspired night market for an eight week stretch over the dreary winter months. The team behind Night Tales have taken inspiration from many of Tokyo’s best restaurants, bars and markets. They wanted to create a truly authentic interpretation of the city, with neon signs, cherry blossoms, eight private Ryokans and an urban downtown area housing four concept bars and six new food partners offering a blend of traditional Asian and contemporary food. Tokyo nights will let you explore the bustling city and touch on scenes from old Japan. Tokyo-born chef Yoshiko Wada, will be hosting an eight-course meal where you can enjoy salmon sashimi, mushroom tempura and wagyu scotch egg in a private dining room. There is also a saké bar bringing a western twist on traditional Japanese rice wine with cocktails including saké martinis. 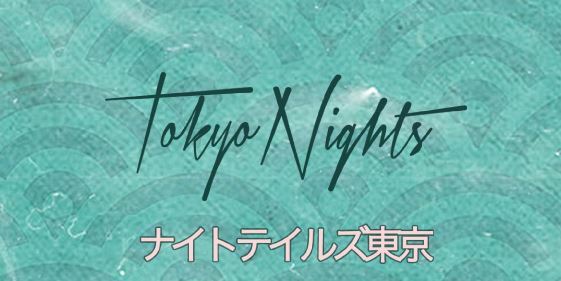 Tokyo Nights launched on October 29th 2015 and is open Thursday-Saturday nights until December 19th 2015. If you have the urge to indulge in some traditional Japanese cuisine but you don’t fancy making the journey to Shoreditch, You Me Sushi is the perfect alternative, whether you want to eat in one of our restaurants or have our delicious sushi delivered directly to your door. This article was posted in Japanese Culture, Sushi News. Bookmark the permalink.